Inking It Up With Cathy: By The Tide - One of My Favorites!!! 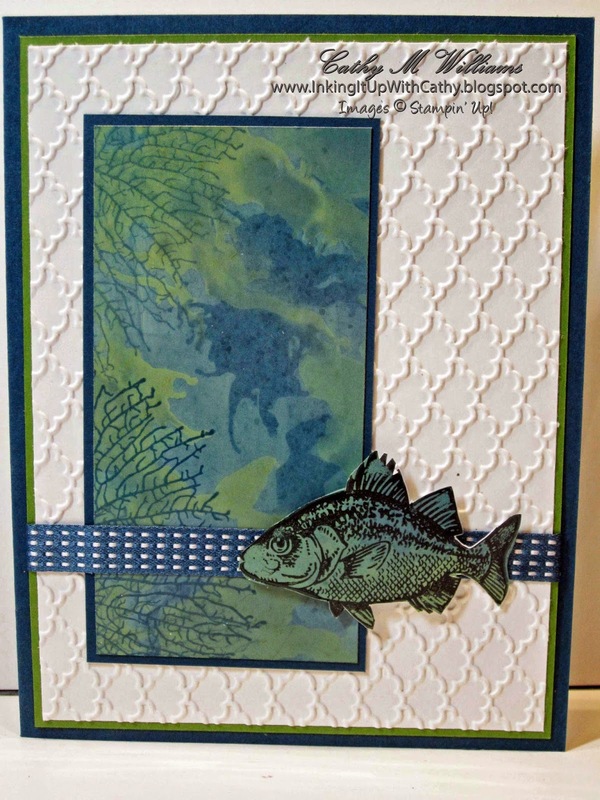 Here is a card that was made at a technique class I hosted. This technique requires a good set of lungs! Take a piece of glossy cardstock (boo hoo, Stampin' Up! no longer carries it) and place a drop or two of a reinker on it. Take a straw and start blowing! Blow at an angle in different directions. Next, add another color of reinker and continue. Finally take a paper towel and wipe off the excess. During the wiping process, you will fill any white areas that were not colored by the blown ink. We actually used a larger piece of glossy cardstock and cut it down to size. 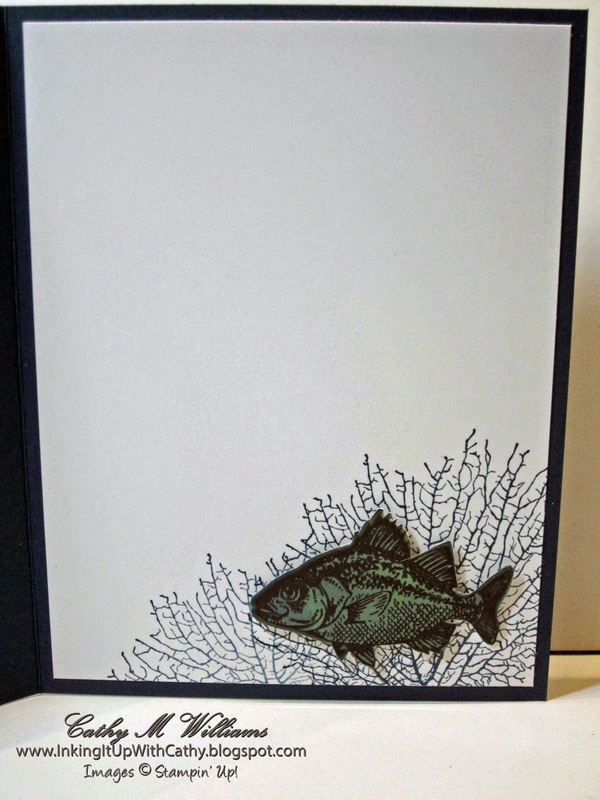 We stamped the fish two times on the scrap portion and cut them out for the card.